We accomplished a great deal today. The day started off at 5:30am, when I got up to go running. I enjoy running when we travel, it allows me to explore cities in a unique way, giving perspective on the recreational infrastructure too. I ran along the water 2 miles out about to the TV tower, then a bridge allowed me to cross and run 2 miles back. It was a cool morning my DC standards, 64 degrees. With the sun rising at 4:25am here, it’s difficult to run in the dark! 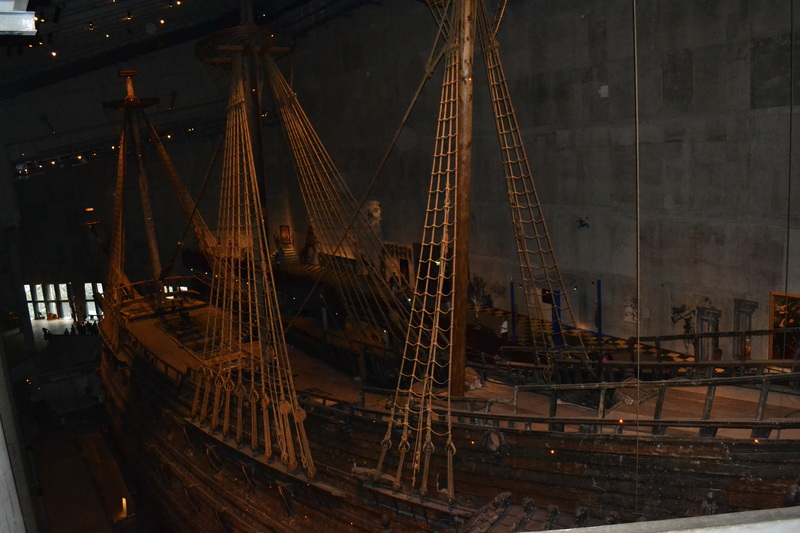 After breakfast, we walked over to the Vasa Museum. A fascinating story, the Vasa sailed on it’s maiden voyage in 1628, which lasted about 20 minutes before it listed and sank. It stayed 30 meters deep in the channel until 1961 when it was raised. It has been restored, with 98% still original. The detail of the carvings, the size of the ship, the 2 levels of cannons are incredible. To have a 17th century warship still around could only happen because it sank. I have a bunch of pictures, none that really do the ship justice. 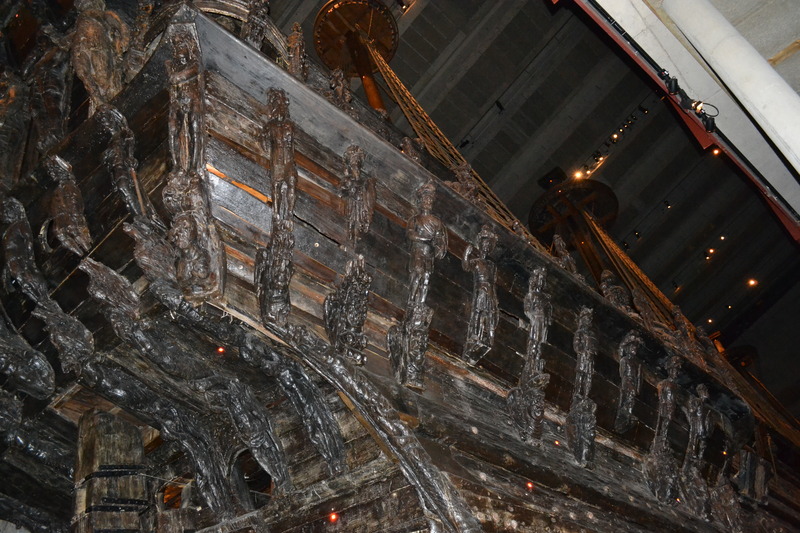 It’s an impressive ship, the archeological work and restoration have also been extraordinary. It’s a required visit in Stockholm. 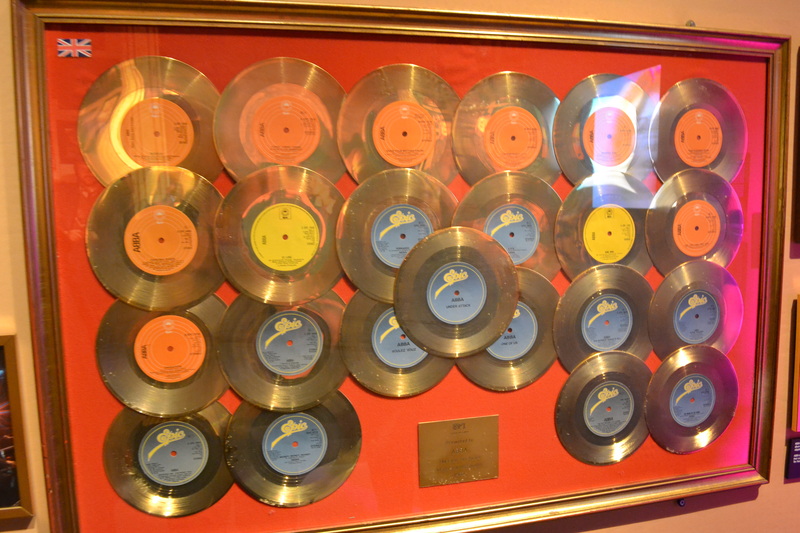 The newest museum is also required in my book: the ABBA Museum! The museum just opened in May and features the whole story of the sensation known as ABBA, We had bought our tickets in advance, so scooted in at 10 when it opened. We opted for the audio guides, which had many recordings of the band members themselves recounting the history. There were costumes, their recording studio, and lots of video of shrieking fans. They may have just been a short-lived pop sensation, but who doesn’t know much of their music. Mama Mia! I only took a few pictures, they wouldn’t have done the experience justice. 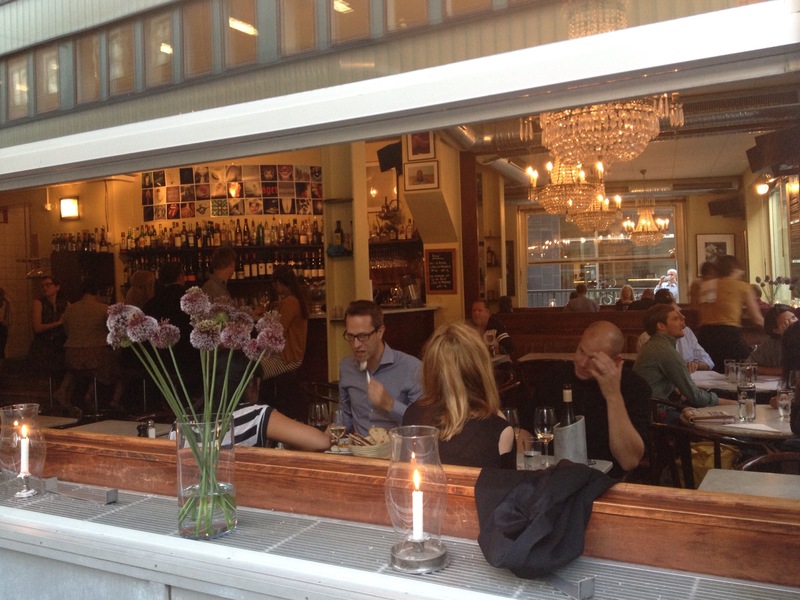 If you come to Stockholm, you gotta go! Our next visit was almost as interesting to me. 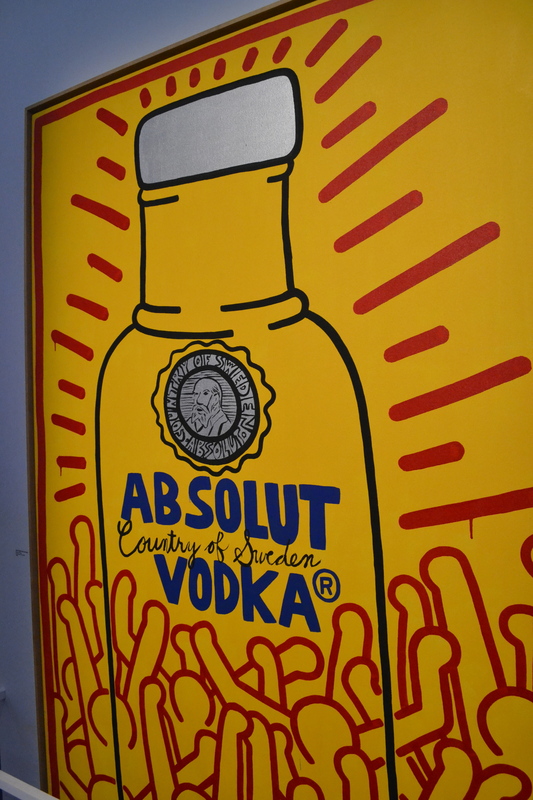 The Spirtmuseum tells the story of alcohol in Sweden, but most interestingly, the history of the Absolut brand. 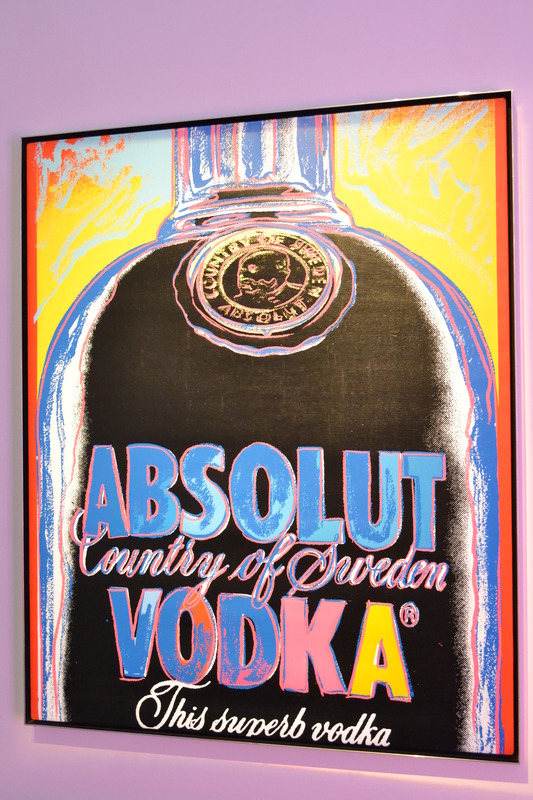 For a country with a difficult relationship with alcohol, the decision to market a brand of Swedish vodka outside the country was controversial. As a marketing professional, the creation of the brand, the bottle, the image was nothing short of spectacular. Much of the original art is in the museum, including the Warhol that started it all. We then walked back into town and had lunch at a fancy food market, the Saluhall. I had veal patties that I was told I had to dip into the lingonberries. With potatoes, it was a hefty lunch. 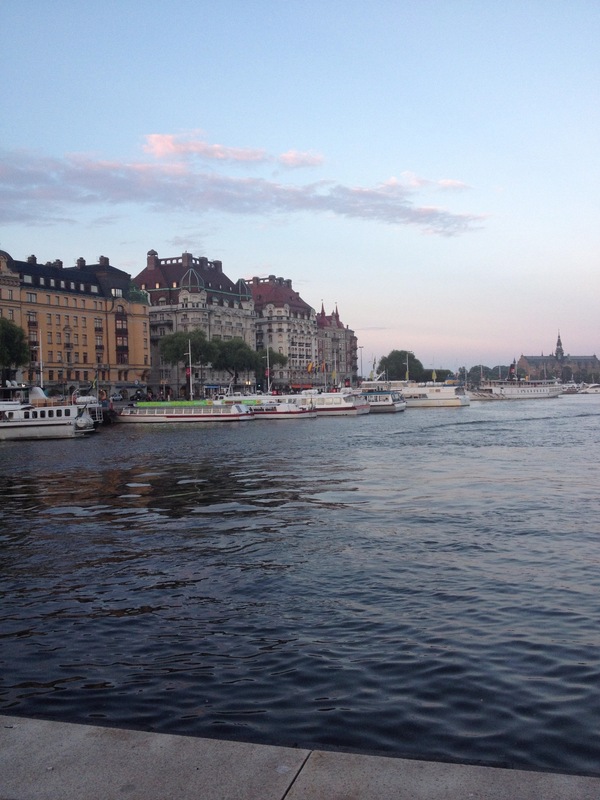 We took advantage of a free canal ride that was available with the Stockholm card and got a good look at more of the city. We stopped for an afternoon coffee/tea, something we enjoy immensely in Europe and wonder why we rarely slow down to enjoy things in the US. 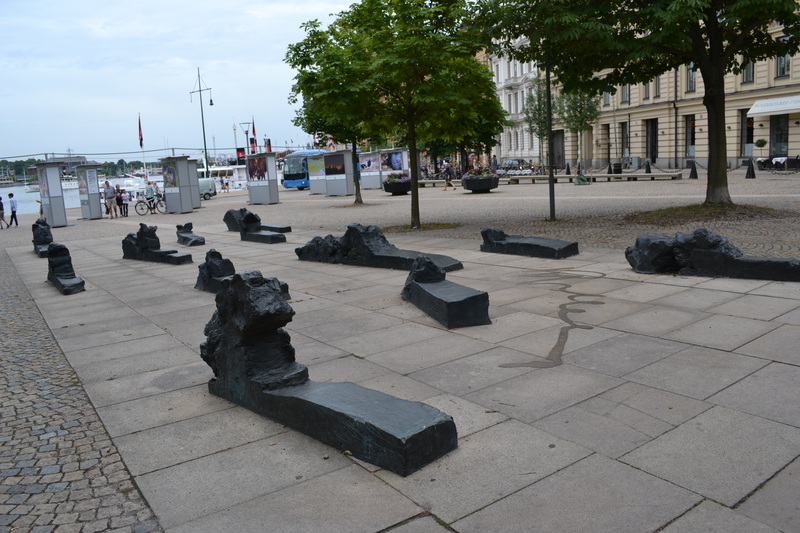 Finally, we walked past the Raoul Wallenberg memorial. We had dinner nearby at Teatergrillen, strolled through town, sat by the water to watch the sunset, then came back to the room to pack. 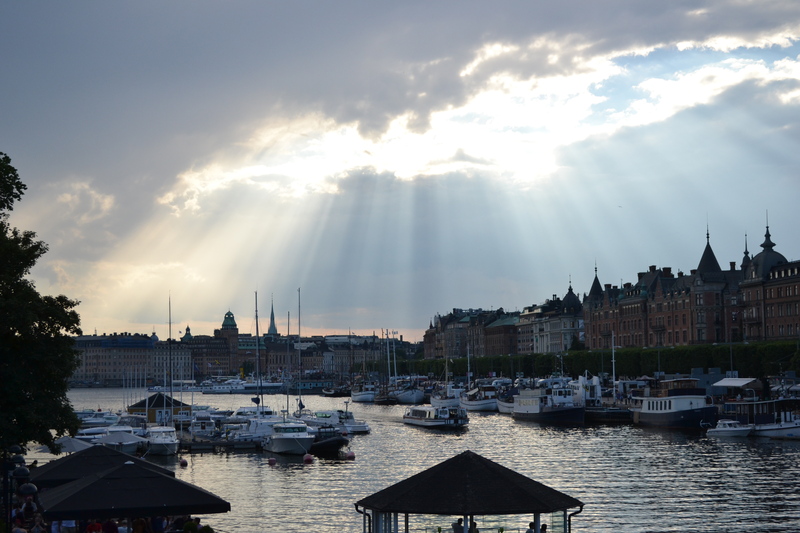 We leave Stockholm tomorrow, rent a car and head to smaller towns in southern Sweden. 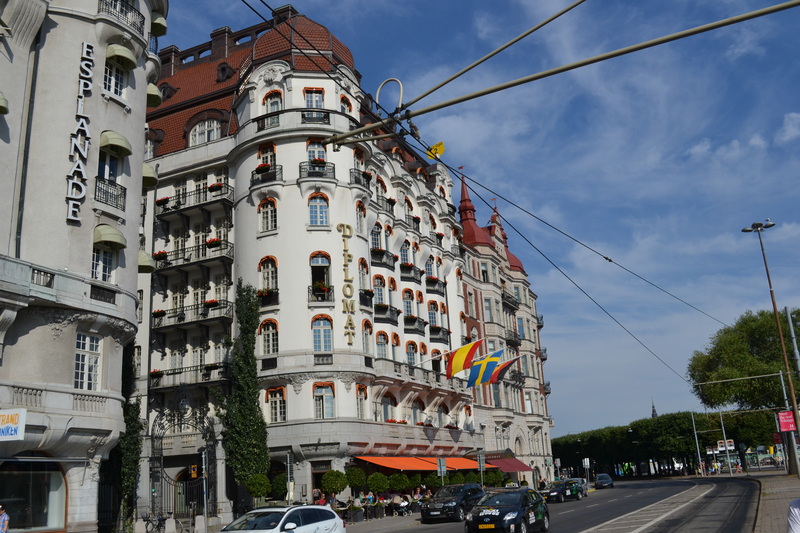 We thoroughly enjoyed our visit to Stockholm and are looking forward to seeing more of Sweden. The trip is off to a smooth start. Everything worked well. By flying economy comfort class on Icelandair, we got access to their lounges at Dulles and Reykjavik. Icelandiar had changed our seats so that we would not be sitting together from Dulles to Reykjavik, but by asking someone to switch, we fixed that. We ate sandwiches, veggies and dessert in the lounge at Dulles, so we went skipped dinner on the plane. Ellen went straight to sleep, I watched a 1/2 hour of video and then slept. Before we knew it, we were in Iceland. We stopped into the lounge and had breakfast there. We slept the whole 3 hour flight, so we were pretty well rested when we got to Stockholm. Our luggage came out quickly, we got cash from at ATM, we bought Stockholm city cards for museum entry and public transit and tried out our SIM cards and found they worked perfectly. We had prepurchased tickets on the Arlanda Express train, and we had to wait an entire 2 minutes for it to depart. 20 minutes later we were at the train station in city centre Stockholm. It was already 1:30 when we exited the station. We needed to break the large bills we had gotten from the ATM, and we saw a local burger place right outside. It was lunch time, we were hungry and we needed change. So it was Max Hamburgers for lunch. Instead of trying to figure out the busses, we took a cab from the station to our hotel. Located right on the water, near museums, shopping and restaurants, Hotel Diplomat was a great choice of Ellen’s. We checked in, dumped our stuff and headed out. We found a cafe to sit down and plot out our itinerary. Some places are closed Sunday and some on Monday, so we have to make sure to get that right. 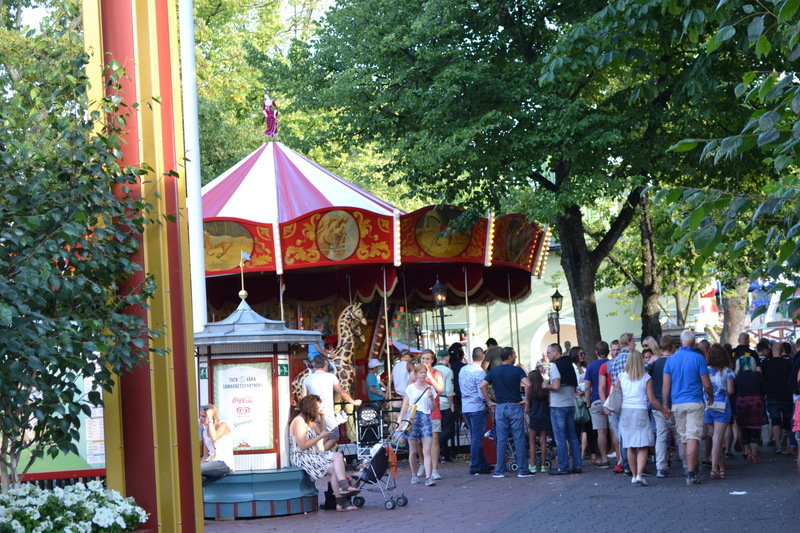 We walked along the water and over a bridge to the island where many museums and the Tivoli-run amusement park are. Just soaking in Stockholm. Walking back across the bridge, the sun was coming through the clouds and I took the picture at the top of the page. We had picked a restaurant, P.A. & Co., from the guidebooks and walked to it, just 5 minutes from the hotel. 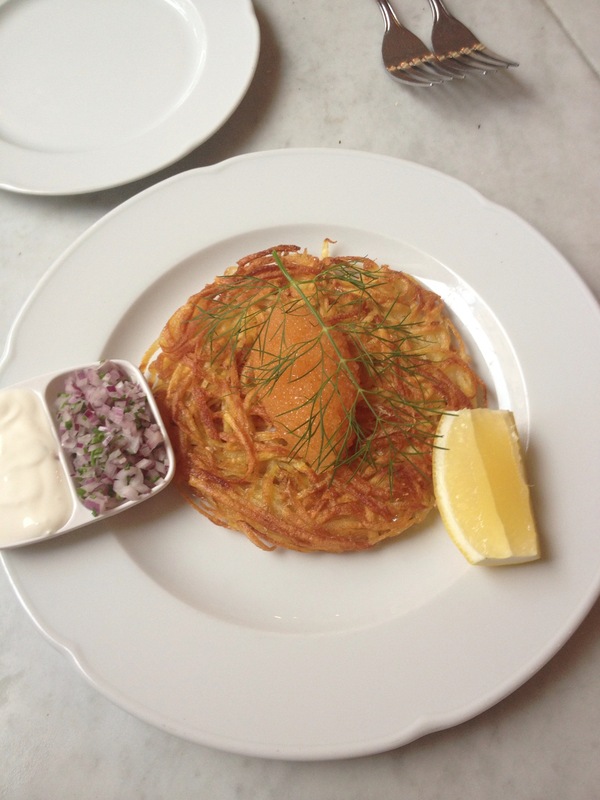 We had an awesome hash brown as an appetizer, then cured salmon for our main course. We strolled through town, as the temperature had cooled off nicely in the evening. We sat near the water, watching it finally get dark, just across from our hotel. 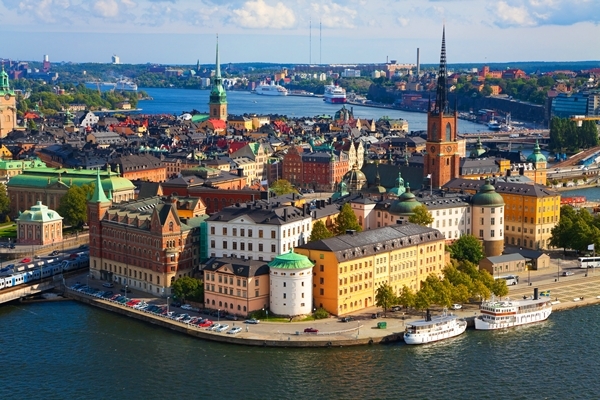 Now that we have the travel done and are accllimated, we are looking forward to full days of sightseeing and experiencing Sweden, starting tomorrow. It’s that time of the summer for us to travel again. This year, we are moving over one country from our trip two years ago, changing from Norway to visiting Sweden. But just like two years ago, we will be including a stop in Iceland on the way home. We’ve grown a little more prepared for trips, based on past experience. We already have our SIM cards for Sweden, courtesy of TouristSIM. We both have ScotteVest products, to make it easier (and safer) to carry maps, passports and electronics (my vest here). Instead of an iPad, I’ll be using a new 11″ MacBook Air to write. Hopefully, that will cut down on typos. So as usual, we encourage you to read along. Suggestions of things to do or places to eat are always welcome. Our flight leaves at 8:40pm on Friday. Talk to you next from Stockholm! If you want to get immediate notification of posts (and who wouldn’t!) click on the “Follow” box on the upper right side of the page.